Pao-Cheng Lin, Hui-Ling Hu, Shao-Yu Li, and Pei-Kuan Lin (2015). Exploring Staffs' Work Performance of M Food Chain: From Human Resources Management Perspectives. 12th International Conference on Service Systems and Service Management. July 22-24, 2015, pp. 1045-1048, Guangzhou, China. Pei-Kuan Lin, Shao-Yu Li, Bich Thi Ngoc Pham, and Pao-Cheng Lin (2015). Impacts of Leadership Styles, Job Satisfaction, and Job Characteristics on Public Servants' Organizational Commitment. 12th International Conference on Service Systems and Service Management. July 22-24, 2015, pp. 723-726, Guangzhou, China. Peikuan Lin, Shaoyu Li, Hien Thi Thu Nguyen, and Paocheng Lin* (2015). Determinants affecting staffs intention to leave in public nursing care sectors. 2015 Global Conference on Applied Social Science (GCASS 2015). May 9-10, 2015, Guangzhou, China. Pao-Cheng Lin (2014). A study on the expatriates, organizational justice, organizational commitment, job engagement, and organizational effectiveness. Acta Oeconomica, 64(e2), pp. 53-68. Hui-Yi Ho, Pao-Cheng Lin*, and Meng-Huang Lu (2014). Effects of online crowdfunding on consumers' perceived value and purchase intention. Anthropologist, 17(3), 837-844. Pao-Cheng Lin, Hui-Yi Ho*, and Meng-Huang Lu (2014). Effects of knowledge management and corporate culture on organizational innovation climate. Revista Internacional de Sociologia, 72(s2), 43-55. Pei-Kuan Lin & Pao-Cheng Lin* (2014). Key success factors in expatriate management in multinational medicine industry. Studies on ethno-medicine, 8(1), 43-49. Hui-Yi Ho, Meng-Huang Lu, and Pao-Cheng Lin (2013). The diverse perceived qualities and perceived values on App e-book and App e-magazine. Pakistan Journal of Statistics, 29(6), 1029-1048. Pao-Cheng Lin, Pei-Kuan Lin (2013). Organizational culture and job performance: A case study of the SMEs in the Northern Taiwan. The 10th International Conference on Service Systems and Service Management (ICSSSM2013). July 17-19, 2013, pp. 818-821, Hong Kong. Pei-Kuan Lin, Pao-Cheng Lin, Shao-Yu Li (2013). Competencies required in service-related and non-service-related industries: Graduates' views on importance. The 10th International Conference on Service Systems and Service Management (ICSSSM2013). July 17-19, 2013, pp. 822-825, Hong Kong. 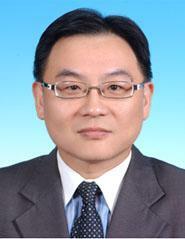 Pao-Cheng Lin, Pei-Kuan Lin (2012). Gender Differences in Perceiving Mentoring Effectiveness: A Case Study at X Institute of Technology. The 9th International Conference on Service Systems and Service Management (ICSSSM2012). July 2-4, 2012, pp. 692-695, Shanghai, China. Pei-Kuan Lin, Pao-Cheng Lin, Shao-Yu Li (2012).Workplace Competencies in Demand: Perception Gaps between Service Industries and Manufacturing Industries. The 9th International Conference on Service Systems and Service Management (ICSSSM2012). July 2-4, 2012, pp. 639-642, Shanghai, China. Pei-Kuan Lin, Shao-Yu Li, Pao-Cheng Lin (2012). Identifying competency focuses of Taiwanese practitioners from quality manpower cultivation project. The 2012 International Conference in Management Sciences and Decision Making, May 19, 2012, New Taipei City, Taiwan. Pao-Cheng Lin & Pei-Kuan Lin (2011). Investigating the perception of organizational culture from the industry of culture creativity: A case study at a publicly-operated film museum in Taiwan. Lecture notes in electrical engineering, 136, 733-739. Pao-Cheng Lin & Pei-Kuan Lin (2011). Investigating the perception of organizational culture from the industry of culture creativity: A case study at a publicly-operated film museum in Taiwan/ 2011 2nd International Conference on Electrical and Electronics Engineering (ICEEE 2011), Dec. 1-2, 2011, pp. 733-739, Macau, China. Pei-Kuan Lin, Pao-Cheng Lin, Shao-Yu Lee (2011). Industrial Attention to Job Ready Competencies-from Supervision Staff Perspectives. 2011 International Conference on Information Management, Innovation Management and Industrial Engineering (ICIII2011)? Nov. 26-27, 2011, pp. 15-20, Shenzhen, China. Pao-Cheng Lin & Pei-Kuan Lin (2011). Organizational culture from the perceptive of technology education human resources. (IEEE) 2011 (Summer) International Conference on Asia Pacific Business Innovation and Technology Management, July 10-12, 2011, pp.294-298, Dalian, China.